I'm ashamed to say that if asked a year or two ago I would have guessed that ‘nduja was an obscure form of martial art undertaken only by itinerant goatherds in Tibet. These days I know that it’s a soft, fiery Calabrian pork sausage, which is delicious eaten as it is with a little bread but also makes an excellent addition to risottos, pasta sauces, stews and, as in this case, soups. If you haven’t tried it, you may be put off by the price or by the fact that it’s become a tad trendy. Please ignore the trendiness and, although it can be quite expensive, a little does go a long way. The sweetness of squash combines well with the ‘nduja and I used the variety 'crown prince' to make this soup. Crown prince is difficult to peel but has a lovely nutty flavour with a rather dry texture that I like a lot. Other types of squash will also work perfectly well. This same combination of roasted squash and ‘nduja can also be used to make an excellent risotto, especially if some chopped fresh sage leaves are added towards the end of the cooking time. This amount should make at least 4 decent lunchtime portions or more if served as a delicate starter. Preheat the oven to 180°C. Toss the diced squash with a little olive oil and some salt and pepper. Roast the squash until it’s fairly soft and a little brown round the edges. This is likely to take about 30 – 40 minutes but keep an eye on it because the roasting time will vary with the type and age of squash you choose. Soften the onion and garlic gently in a little oil in a large pan for 5 minutes or so. Add the balsamic and the marsala and let them bubble away for a minute or two. Add the potato and the stock, bring to the boil, cover and simmer for 5 minutes. Add the roasted squash, cover again and continue simmering for around 20 minutes until the veg is thoroughly soft. Break up the ‘nduja, add to the pan and continue cooking for a few minutes more, stirring all the time. Take off the heat and allow to cool for a few minutes. Liquidise and add as much extra water or stock as needed to give the desired thickness. Adjust the seasoning (you probably won’t need much) and add a squeeze of lemon if the soup is a little too sweet. Serve with a dash of finely chopped herbs (a little sage works really well) if you have some to hand. I’ve made a few versions of this dish in the past but I can’t remember where I first came across the recipe. Until recently I’ve used a more complicated set of spices and only dried chillies. Back in 2010, though, a local restaurant Massala sent out a newsletter containing a recipe for laal maans that used fresh chillies and black and green cardamom. I've not used the Massala recipe here but I’ve taken those two ideas and shoehorned them into the recipe I’d already scribbled down from somewhere else. I don’t make a habit of recommending specific restaurants in this blog but since Massala is not only a short walk away from my house but also happens to serve extremely fine food, then I feel justified in making an exception. In particular, their dal makhani, which is black lentils cooked over charcoal for 30 hours, is really good. (And, just to be clear, I don't have any connection with the restaurant). Anyway, this is my version of laal maans and I like it even though it’s almost certainly a very long way from an authentic Rajasthan dish now that I've finished messing about with it. This should serve 2. 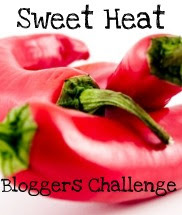 I’m submitting this to the Sweet Heat challenge started by Lyndsey of Vanilla Clouds and Lemon Drops and hosted this month by Michelle of Food Football and a Baby. Although, I do feel that it’s a bit like handing in my homework to a teacher because I’ve made a number of dishes from the recipes on Michelle’s blog and they’ve all been uncommonly good. Stir the chopped chillies, the chilli powder, turmeric and a generous seasoning of salt and pepper into the yoghurt. Gently fry the onions in a little oil until they’re very soft and starting to colour (take plenty of time over this). Split all of the cardamom pods and lightly crush the seeds. Add the garlic and the cardamom seeds to the onions and fry gently for another 2 or 3 minutes. Turn the heat up and add the lamb. Fry the lamb for another 3 or 4 minutes until it’s evenly coloured. Add the yoghurt mixture to the pan, turn the heat down and simmer gently, stirring every now and then, until the most of the moisture in the pan has evaporated and the yoghurt mixture is coating the lamb. Preheat the oven to 150°C. Sprinkle over the ground coriander and add the tomatoes to the pan. Break up the tomatoes a little and add around 100 ml of water, or just enough to cover the meat. Bring the pan to the boil, cover and transfer to the oven. Cook in the oven for around an hour until the meat is very tender. Serve sprinkled with plenty of fresh coriander. 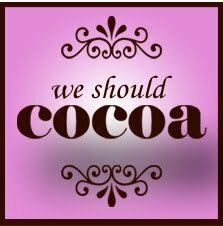 For this month’s We Should Cocoa challenge Chele of Chocolate Teapot has asked us to be health conscious – although health conscious with some chocolate attached, of course. This simple recipe is a low-fat, winter alternative to the famous Eton mess (although it does contain a fair amount of sugar, so not that healthy). It’s made up of chocolate meringue, pears and something a little healthier than double cream. Happily, all the components can be prepared well in advance. The amounts given here should serve 4, probably with some meringue left over, but it all depends how much of each element you fancy using. There’s nothing particularly special about this method of making meringues, so use any method you prefer. In my oven this method gives me the combination of crumbly and chewy that I like for this dish but no two ovens seem to produce truly identical meringues in my experience. You could cut the quantity but I find using less than 3 egg whites a bit fiddly and I like having lots of meringue around in case of a national shortage. Preheat the oven to 140°C. Whisk the egg whites until they form soft peaks. Keep whisking while you add the sugar one spoonful at a time until the whites are stiff and glossy. Briefly whisk in the vanilla and cocoa powder. Place large spoonfuls of the mixture onto an oven tray lined with a silicone sheet or non-stick paper. You should get at least six meringues but don’t bother about being too neat because they’re going to get broken up anyway. Place in the oven for 50 minutes. Turn the oven off but leave the meringues in the cooling oven. Don’t remove them until the oven is totally cold – overnight is best. To poach the pears, choose firm but ripe pears (3 should be plenty), peel and core them, cut them into quarters and rub them with lemon juice to stop them going brown. Make up some sugar syrup – for 3 pears, you’ll need around 600ml of water and 200g of sugar. Dissolve the sugar in the water over a low heat, add the pears and bring to a gentle simmer. Poach the pears until they’re soft but not falling apart, take off the heat and allow the pears to cool in the poaching liquid. Assuming that you’re trying to keep this low fat, then there are a number of alternatives to whipped cream for this bit of the dish. I used a low-fat Greek style yoghurt, which I strained overnight through muslin to give an even thicker result. You’ll need at least a 500g tub and maybe a little more. Alternatively, you could use fromage frais or, if that’s a little too thin for your taste, you could try mixing some chestnut purée with it. You can either mix the whole lot together or layer the three components. I chopped the pears into small pieces, drizzled half of them with a little crème de cassis and put the drizzled pears in the bottom of a glass. I topped the pears with some of the yoghurt and covered that with a layer of the broken meringue. I then layered on the rest of the yoghurt and finally the remaining (undrizzzled) pears. Chill until required. 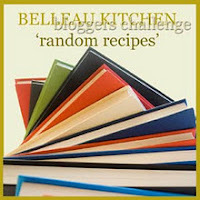 For this month’s Random Recipe challenge Dom of Belleau Kitchen has asked us to select a recipe from our newest book – maybe one we got for Christmas. Now I ‘m not trying to be difficult but it’s a few years since I bought a genuinely new cookery book and I don’t really do the Christmas present thing. So I’ve interpreted this challenge a little freely. The book that’s newest to me is one I bought from a charity bookstall – Sophie Grigson’s “Sophie’s Table” published back in 1990. Opening the book at random I was faced with a recipe (originally an American recipe, in fact) for Pecan Puffs, which bizarrely enough I saw Ms Grigson cook on a TV show just a few weeks ago. So that means that she’s been making these same biscuits for more than 20 years and you can’t get a better recommendation than that. She describes them as “devastatingly good” and, having tried them I absolutely agree. You can replace the pecans with almonds, toasted hazelnuts or walnuts, although personally I love the pecan taste. I got around 45 small biscuits and they would have lasted about 45 minutes but I threatened myself with violence if I didn’t stop eating them. And so here we are in 2012. Let me start by apologising in advance for any gaps in postings during the coming year – sadly, I may not have the opportunity to do as much cooking as I’d like. For the moment, though, there are a few recipes from last year that I want to tell you about. First of all, I must finally get around to posting my canelé recipe. Canelés can be problematical. There’s even disagreement about how to spell the word. Should there be a double ‘n’? (I stand by the spelling used by la Confrérie du Canelé de Bordeaux who officially shunned the extra ‘n’ in the 1980s.) Then there are the purists who insist that to make canelés you should only ever use purpose-made copper moulds and line them with beeswax. So, if they’re problematical, why do I bother to make them? Simply because if you get them anywhere near right, then they’re fantastic. If you’ve never tried one, then imagine something like a really good crème brûlée in cake form. They’re great for breakfast, afternoon tea or dessert. The smaller ones also make excellent nibbles alongside sparkling or, best of all, sweet wines. In my opinion, they’re nicest served slightly warm. This simplified version of the recipe is easy enough to put together, but you do have to start the day before you want to bake the canelés, because the dough needs to rest for at least 24 hours. It’s a sort of pancake batter cooked like a cake, really. The only tricky bit is getting the baking right. Canelés need to have a caramelised, slightly crisp exterior and a soft, creamy (but not raw) interior. I make mine in silicone moulds and, although I use the authentic shape, any suitably sized cake moulds will do at a pinch. I fill the moulds around three-quarters full and I use two sizes of mould: the small canelés use around 20ml of batter when three-quarters full and the larger use around 55ml. This amount will make about 45 small or 16 larger canelés. Put the milk, butter and vanilla in a saucepan. If you’re using vanilla pods, then split them. Bring the mixture up to boiling point with a fair amount of stirring and immediately take off the heat. Let the milk mixture cool. (Some people say that milk should not be cooled at all; others say that it should be completely cold. I tend to use it slightly warm but mainly because I just can’t be bothered to wait any longer.) If you used vanilla pods, then scrape the seeds into the milk and discard the pods. The next stage is easier with an electric stand mixer but it’s not essential. In the mixer bowl, combine the flour and sugar. Add the eggs and yolks and begin whisking them in. Keeping the machine running, gradually pour in the milk mixture followed by the rum. You should end up with thinnish batter without any lumps. Pour the batter into a jug, cover and put in the fridge for 24 hours. Bake small canelés for 35 – 40 minutes and larger canelés for 45 – 50 minutes. The canelés should be a darker brown colour than most cakes (but not black) and should feel springy to the touch. Allow them to cool in the moulds for around 10 minutes before attempting to remove – they’ll be rather fragile while hot.